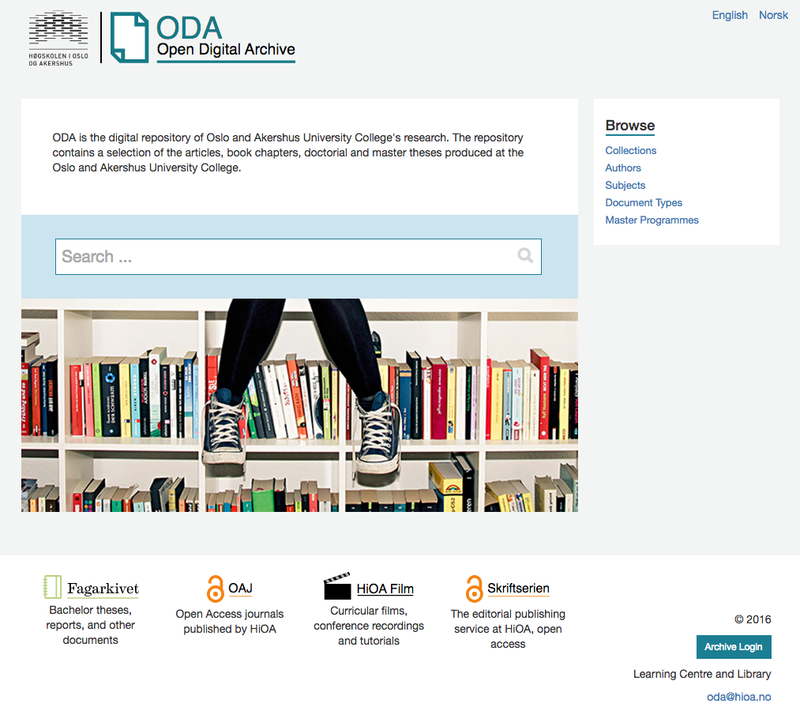 Open Digital Archive (ODA) is the digital repository of Oslo and Akershus University College’s research. The repository contains a selection of the articles, book chapters, doctorial and master theses produced at the Oslo and Akershus University College. Using DSpace as the archive and utilizing Joomla for the public access, ODA showcases seamless integration of two very different software systems.